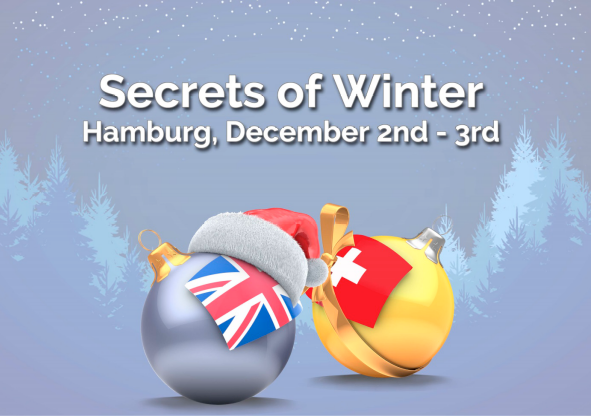 Welcome to Secrets of Winter, the next Hamburg Shag Workshop which takes place on December 2nd & 3rd. We are glad to announce that Peter & Aila (UK) and Heiko & Larissa (CH) are coming to Hamburg for another Collegiate Shag weekend! They‘re gonna bring a lot of challenging moves, advanced techniques and exciting variations with them. And, as we already know of these four, fun won’t get the short end of the stick! You are already dancing Shag at an improver level, meaning that you have most likely been attending a weekly Shag class for a while now. Probably you have been to three or more (international) Collegiate Shag workshops in intermediate levels. You have social danced Shag on many occasions now. You are familiar with the 6-count (double time) basics and some variations in footwork. Your comfort zone for dancing relaxed and on time is at least to songs up to 200 bpm or even more (check with a partner the songs below). Your aim is to learn new steps and improve your technique – you are ready to take it to the next level. Welcome to “Rudolph, the red-nosed Reindeer”! You are taking classes at least in an intermediate level, or better in an advance level. You are also attending high level workshops, especially international. You can vary your footwork-style in different shag-patterns (single-, double-, triple- and long-rhythm shag) without getting confused on your own footwork. You have an impressive repertoire of moves under your belt as you know moves like Tandem, Titanic and Shagout and you already started to play around. You prefer to dance to songs with tempi up to 220 bpm or even more and you and your partner are still feeling comfortable by executing complex dancing-figures (check with a partner the songs below). Now you want to take it to the next level and refine your techniques as well as expand on the moves you know. On this level, the figures and technique are very challenging. Teaching will proceed at a quick pace. This fits for you? Welcome to “Santa”! Peter and Aila have been dancing Shag for over ten years, and still love to experimenting with a wide range of music, styling, and speeds and moves. 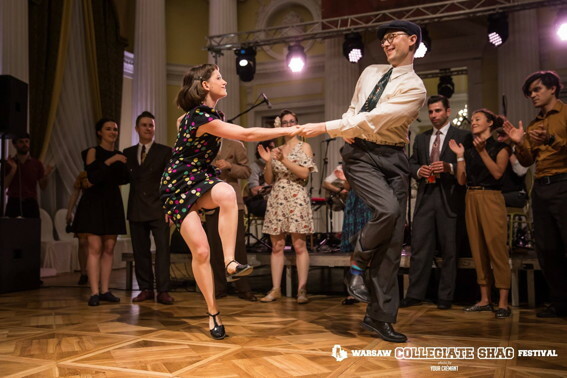 Their passion for the dance has taken them all over the UK and Europe, and has seen them perform and win the Shag Battle at ‘Rock that Swing’. After running an unofficial week of Shag in Herrang, Peter returned to London and set up ‘Shag Pile’ to grow the London scene through high quality weekly classes, regular workshops and special events. Meanwhile his Herrang students set up scenes in Melbourne, Stockholm and Brazil. As a performer, he has danced in films including ‘Gambit’, ‘Me and Orson Welles’ and ‘Avengers 2’. Aila is a highly trained dancer and performer, with deep experience in a huge variety of dance forms. As choreographer and director of internationally renowned flapper troupe ‚The Bee’s Knees‘, she has performed at events all over the world including the Venice carnival. Aila also leads London’s Shag performance group ‘The Shag Pilots’, who can be seen shaking their stuff on youtube. 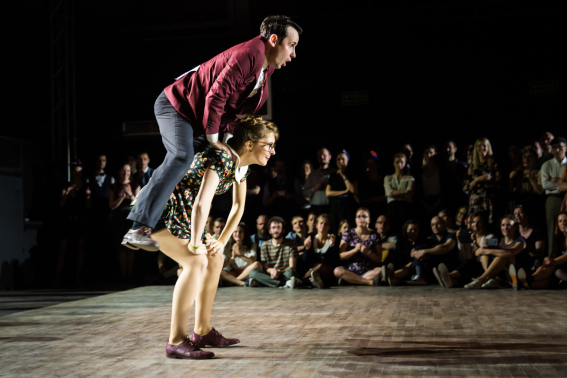 Heiko and Larissa are the founders of the Basel Jitterbugs. Together they teach weekly classes and workshops in Lindy Hop, Balboa and Collegiate Shag. They love to combine all of these dances based on the tempo and energy of the music and inspired by original swing dancers from LA. Their Collegiate Shag can be described as smooth and elegant, combined with crazy happiness. They love to play around with different styles and energy levels of Shag. Their teaching is designed with clear structure and a focus on solid technique. They are always seeking for a good and fun class atmosphere where everybody can find motivating challenges. Besides teaching and social dancing they love to show off in competitions and to spread their passion for swing dancing in shows. Recently they placed in several finals, for example 1st at the RTSF Shag Battle in 2016, 2nd in 2017 and 2nd at the Warsaw Shag Festival Strictly 2017.